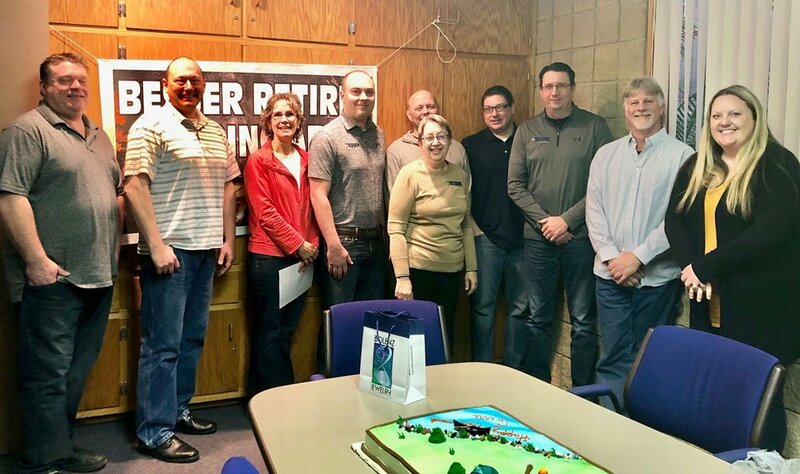 Geraldine Mulka is walking out the doors of Besser Company this afternoon for the last time as she says goodbye to a lifetime worth of memories with customers and coworkers. She started at Besser in 1978 with a spring in her step and as she puts it, “not one strand of gray hair!” Gerri was hired as a Microfilm Clerk, which consisted of photographing sales and central order records so that the hard copy documents could be stored in a warehouse and the microfilm could be viewed through a Microfilm Reader (which is similar to a projector system). This method was our first step towards electronic records! 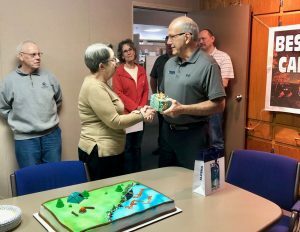 In her 41 years, Gerri worked in nearly every department – office services, tool engineering, inventory control, credit department, the warehouse, call center, international sales, and shipping! 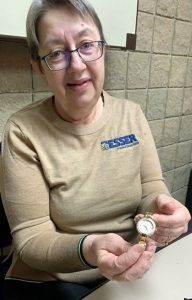 She ends her career as a Customer Service Representative in our Alpena Call Center. “Gerri was at her best when looking after Besser customers. We will certainly miss her commitment,” stated Kevin Curtis, CEO. For all those that know Gerri well, we can warmly describe her as a good friend with a sharp tongue and a giving heart. The sharp tongue has gotten her in trouble a time or two, in fact one memory in particular she looks back at with a laugh is taking a call from one of our vendors, M. Hamburger. Their sales rep, Patty, called to speak to Gerri’s supervisor at the time, Charlie Pake. Gerri yelled over to Charlie, “I have Hamburger Patty on hold for you!” It was not a moment later when she realized the call was not on hold and Patty heard that comment. 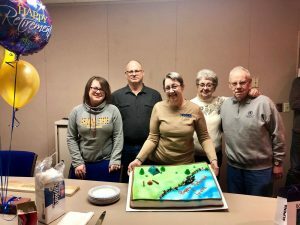 Gerri will fill her retirement with family time, travel (especially to Missouri to play with her grandchildren Rosie and Xander), camping, and playing the organ at Sunday church. Local Besser friends can also find her volunteering her time at the Posen Potato Festival again this year! Her husband, Greg, and her children, Gregory, Lianna, and Katie will be glad to have her home, where they can see her enjoy some well-deserved rest.